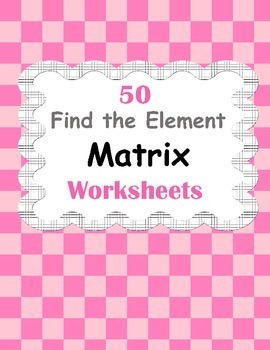 Matrix: Find the element package includes 50 worksheets. Identify the element of a matrix from the position of row and column. 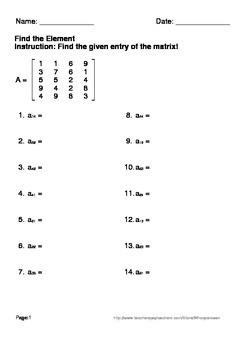 If the entry is a12, identify the element from row 1 and column 2.